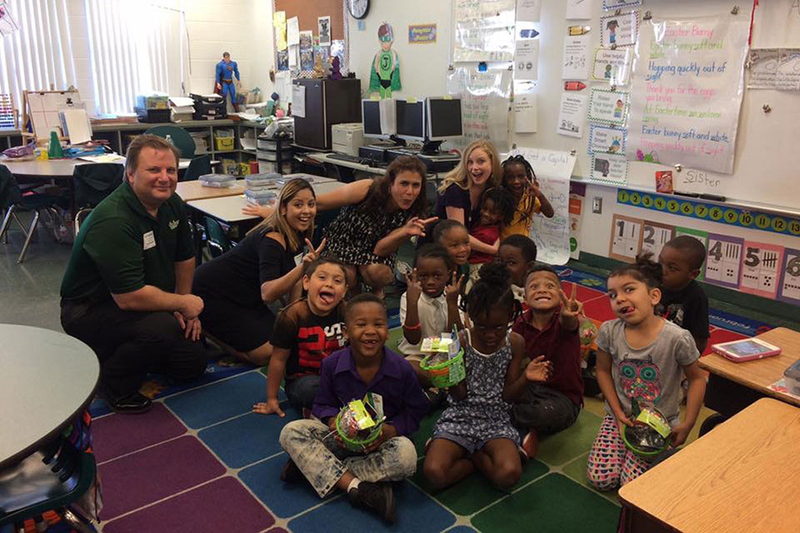 In April 2017, Bast Financial Group created and delivered Spring Baskets for the Kindergarten classes at Just Elementary School in Tampa, FL. The baskets consisted of, school supplies, toys and arts and crafts. 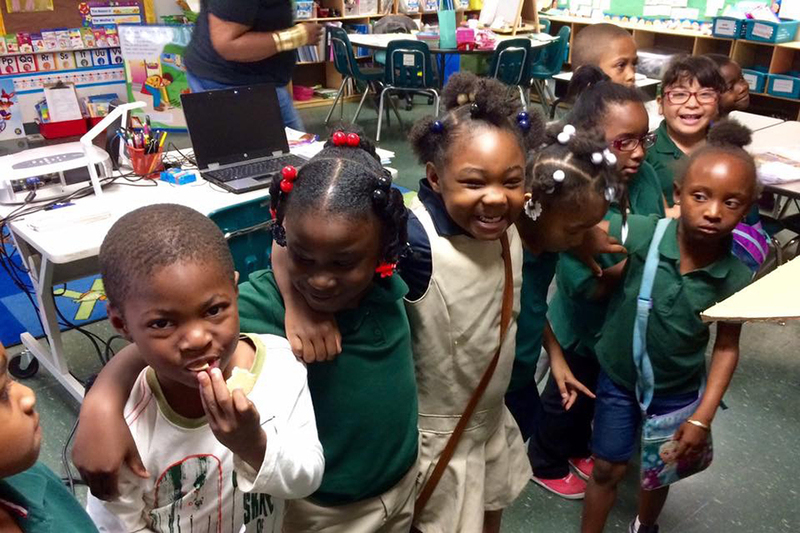 Just Elementary School serves a little over 500 students in grades Pre-Kindergarten through 5th grade. 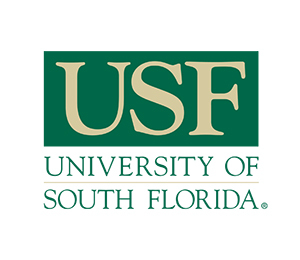 As one of the lowest income schools in Hillsborough County, 98.2% of K-12 public school students at Just Elementary participate in the National School Lunch Program (NSLP). To qualify for free lunch, children's family income must be under $15,171 in 2015 (below 130% of the poverty line). It was a humbling experience to see something so small, go such a long way. 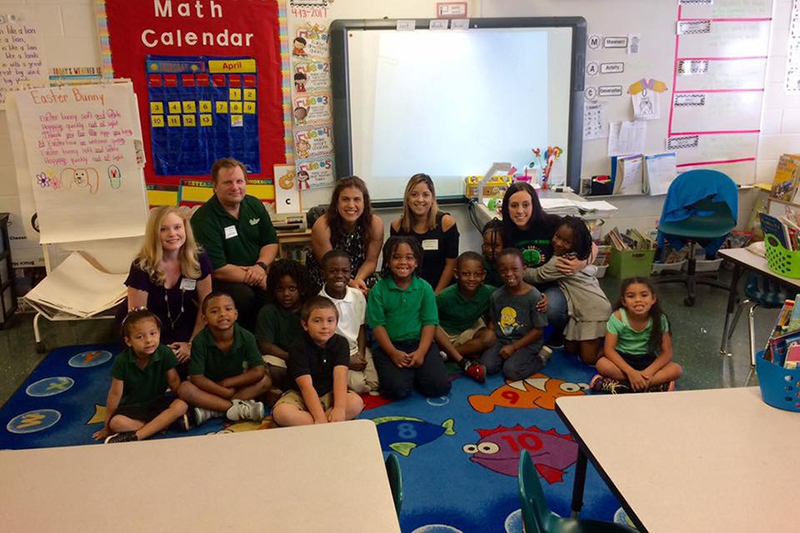 We are excited to participate in ongoing efforts, to give back to the students and teachers at Just Elementary School. As part of her devotion to the community, Rebecca Bast is involved in supporting Starlight Children's Foundation. In a span of a few months, Rebecca and her team raised $75,000. 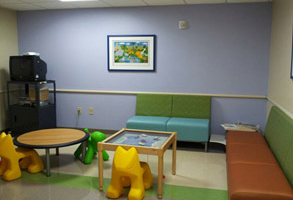 The funds raised were used to transform a basic playroom space at John Hopkins All Children's Hospital into a beautifully enhanced pediatric cancer playroom area. Thank you to all those who donated to help Rebecca and her team reach their goal in order to create Starlight Site at John Hopkins All Children's Hospital. 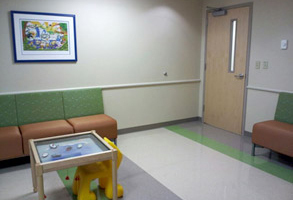 Without your generous support they would not have been able to raise the funds to create a beautifully designed and inviting hospital space for pediatric cancer patients. 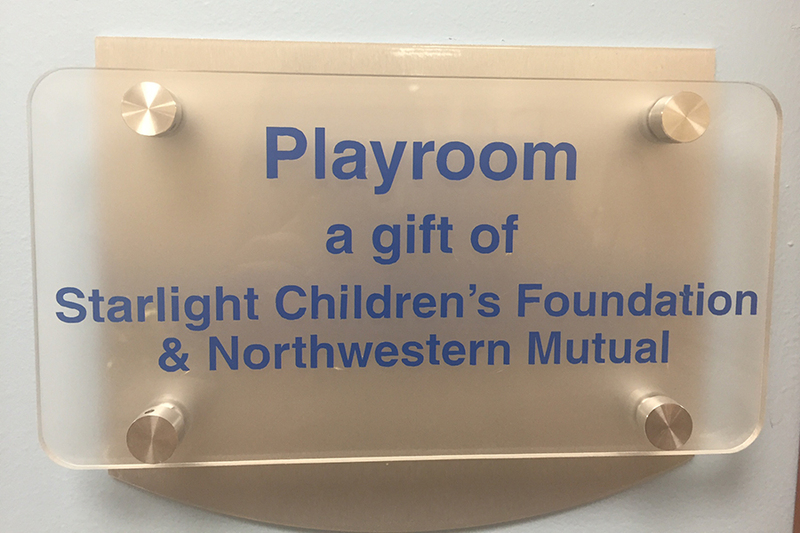 To learn more about Starlight Children's Hospital and Rebecca's efforts at All Children's Hospital click here. 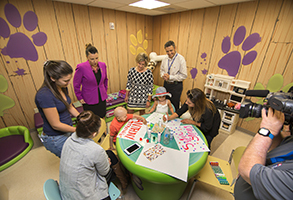 On September 20, 2016, two years and $75,000 later, the playroom at John Hopkins All Children’s Hospital is finally complete. 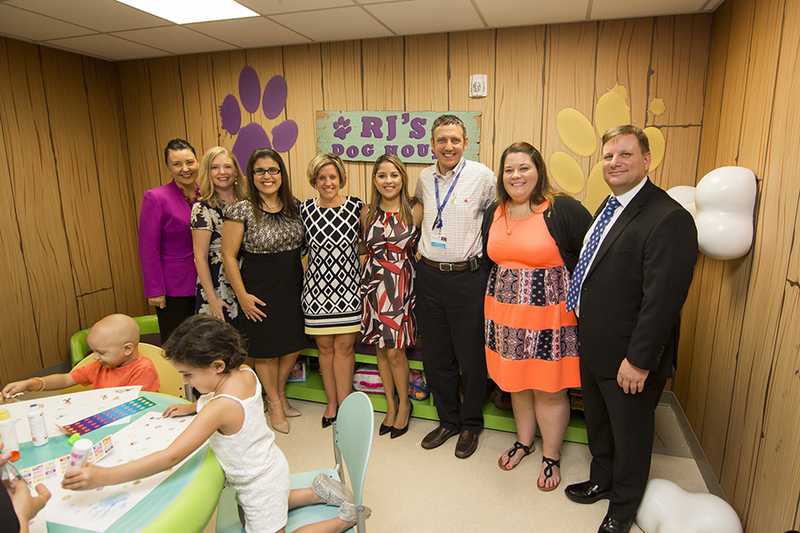 RJ’s Dog House was created to bring a sense of normalcy to the pediatric cancer patients whose childhood may be spent in a hospital. Anthony and Sofia, two patients at John Hopkins All Children’s Hospital, were able to play in the room during the event. 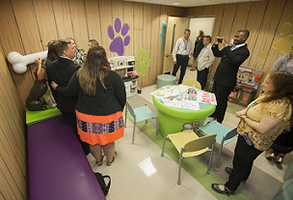 The dedication took place at the pediatric oncology outpatient clinic with several people in attendance. Rebecca Bast of Bast Financial Group had the honor of cutting the ribbon to make it official. All members of Bast Financial Group were in attendance to witness their hard work, dedication and commitment come to fruition.